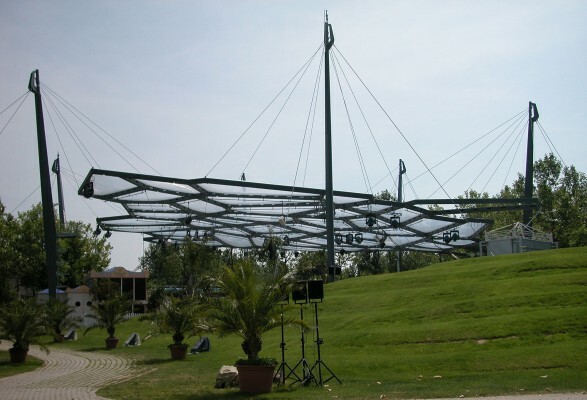 For the roof of the ZDF televising garden a construction was designed to combine maximum transparency and openness to the surrounding landscape with an optimal function as roof and rain protection. The interior structure of the construction relates to the skeleton structure of a leaf. 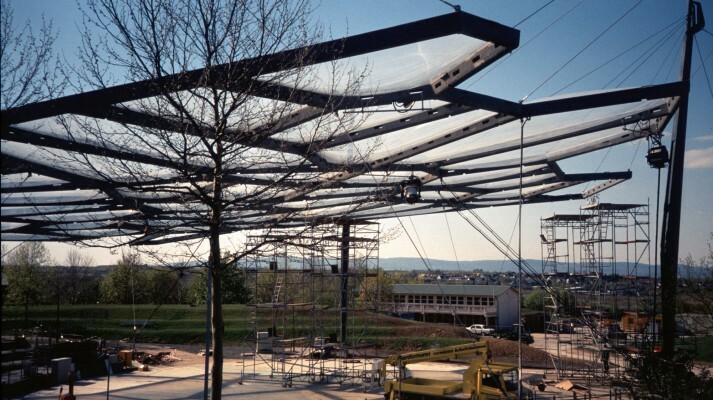 The bays of the structure are filled with highly transparent pneumatic cushions, giving the roof the appearance of a cloud floating above the premises. The steel beams consist of circular hollow sections with a diameter of 220 mm and rain gutters comprising buckled sheets welded together with tie plates, the entire section performing as load-bearing system.